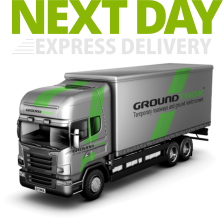 Groundtrax® offer the UK’s most comprehensive range of ground protection and ground reinforcement systems – from pedestrian access through to roads, car parks and storage areas capable of taking the heaviest vehicle loads. 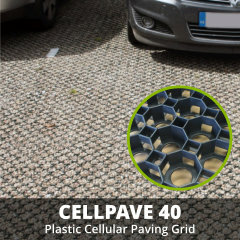 Our products include cellular pavers, geogrids, geocells (cellular confinement) and geotextiles, all backed up with sensible technical advice and qualified sub base and construction designs. 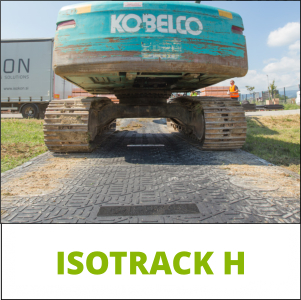 We offer temporary trackway systems for sale, supplied by Isokon – the worlds number one manufacturer, and a comprehensive range of products for SUDS compliant permanent installations. 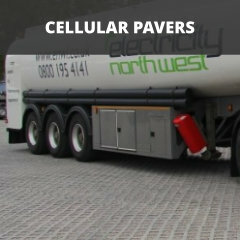 We are now the country’s leading supplier of permeable paving products both with our own range of CellPave® products and selected products from Terram, Cabka and other leading manufacturers covering all applications from CellPave® AP (a cost effective, simple roll-in grass reinforcement grid), traditional cellular paving grids such as CellPave® 38, CellPave® 40, CellPave® 50 and 65, through to CellPave® HD truck grade heavy duty cellular pavers that offer an environmentally friendly alternative to traditional hard surfaced areas. We are also official suppliers of Terram/Avintiv products which include BodPave® 40, BodPave® 85 and GrassProtecta®. 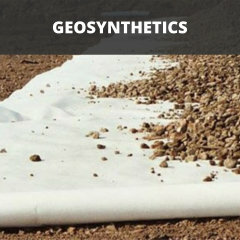 We are key distributors for the entire range of geotechnical products from Tencate – the worlds largest supplier of geosynthetics including non-wovens, grids and specialist textile systems for use in infrastructure, civil engineering and environmental projects. 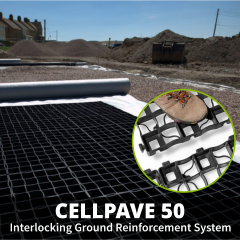 Our key products are all proudly manufactured in the UK (including CellPave® GP, CellPave® 65, CellPave® HD, GrassProtecta®, Moorland Mesh, Groundmatz, Rola-Trac®, Supa-Trac®). Our products are widely specified on large contracts across the UK. 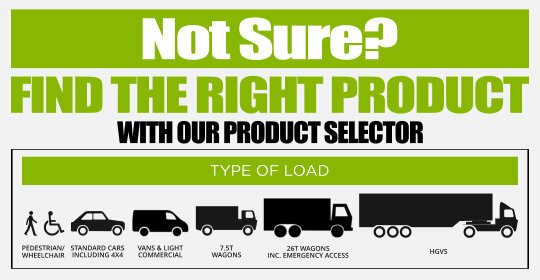 We hold large stocks for immediate delivery to site. Contact us now and see how we can help you with your next project. 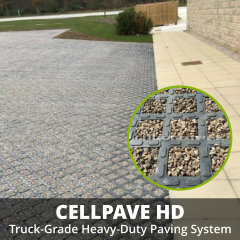 Designed from the ground up, CellPave HD™ is incredibly strong and sets a new standard in permeable paving systems. Looking for Fixing Pegs, Steel Pins, Joiners & Markers? As the main UK Distributor for the PGI/Terram range (including products from Terram, Boddingtons and Fiberweb), we offer the best possible prices on GrassProtecta®, BodPave® (Bodpave® 40 / Bodpave® 85) and Terram® Geotextiles. 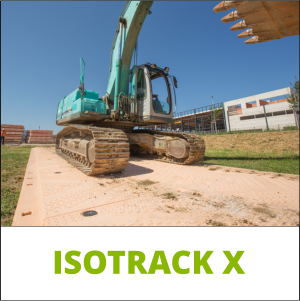 So no matter whether you’re looking to protect soft or muddy ground, reinforce existing overflow car parks, access routes, holiday park areas, verge stabilisation, golf-buggy paths, pedestrian walkways or soft ground access, Groundtrax Systems Ltd has the solution for you. 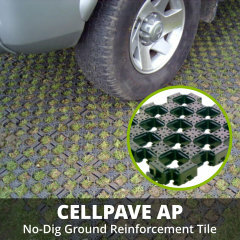 For those looking for a more permanent ‘no-dig’ solution, our CellPave® AP ground reinforcement tiles are ideal and are easily installed with a vibratory roller or rammer. 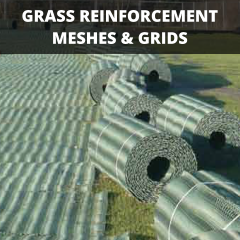 Alternatively, GrassProtecta® is a heavy-duty polyethylene mesh which reinforces grassed areas prone to wear and smearing. 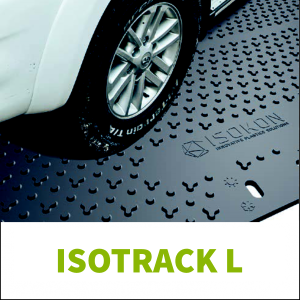 Looking for Ground Protection Mats? GroundMatz temporary road mats are an ideal and fast solution for many applications. Temporary roads are useful for situations such as construction site access, sports field maintenance and pedestrian walkways. 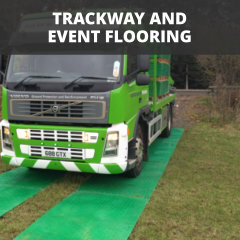 Our temporary roadway offers ground protection to grassed areas as well as soft ground.